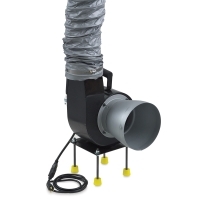 The Vent-A-Fume Encaustic Fume Extractor is a complete ventilation system designed specifically for the encaustic painter. 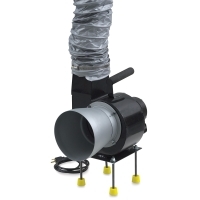 Its close-capture design allows for quick and efficient removal of the undesirable and/or unpleasant fumes typically associated with encaustic painting. Removing and ventilating fumes is a critical concern in today's safety-conscious work environment. 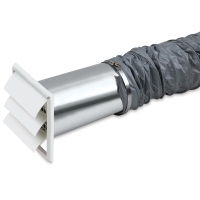 Vent-A-Fume's tabletop design helps provide healthier conditions without the need for a full-scale system. It is easy to assemble, lightweight, and portable. While designed specifically for encaustics, The Vent-A-Fume is also an effective tool for oil painters, sculptors, and printmakers. 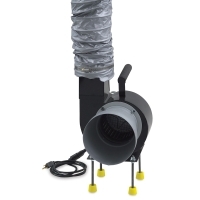 The Vent-A-Fume features a 500 CFM motor, a zinc-coated, 6–8" spun galvanized hood, four adjustable 6" legs, a tailpipe, a 6"Dia × 12 ft flexible vent hose with two worm clamps, a louvered cap to vent to the outside, and an 8 ft power cord. 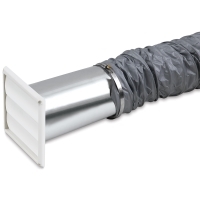 ™ Vent-a-Fume is a trademark.